Click to try all free online, PDF, printable percentages worksheets! Answering to the question ‘What is a percentage ?’ is easy. Let’s look into the following example. Your teacher may show how much marks that you have scored for a subject on the top right hand corner of the paper as follows. Cent means 100. In Latin cent is Centum, which means 100. Also, we know Century is 100 years or when you score 100 runs in a cricket match, you have got a century. 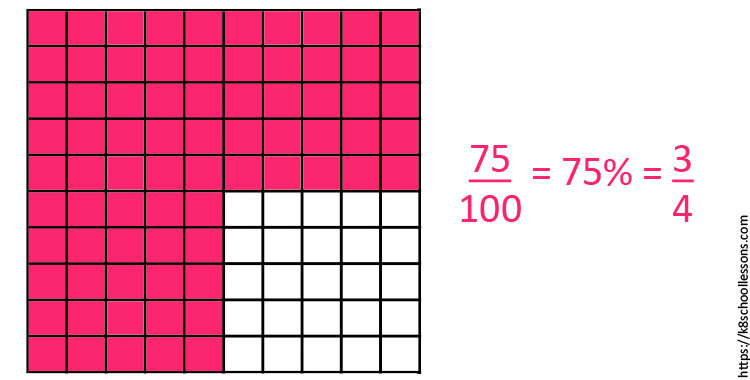 Out of 100 cubes 25 cubes are coloured. 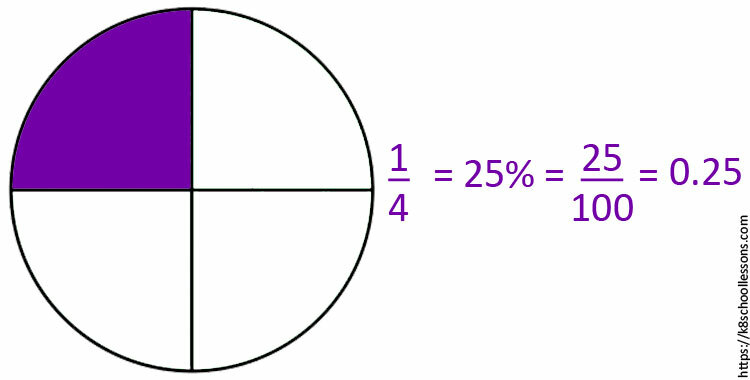 This is 25 / 100, which means 25% of the diagram is coloured or ¼ of the diagram is coloured. 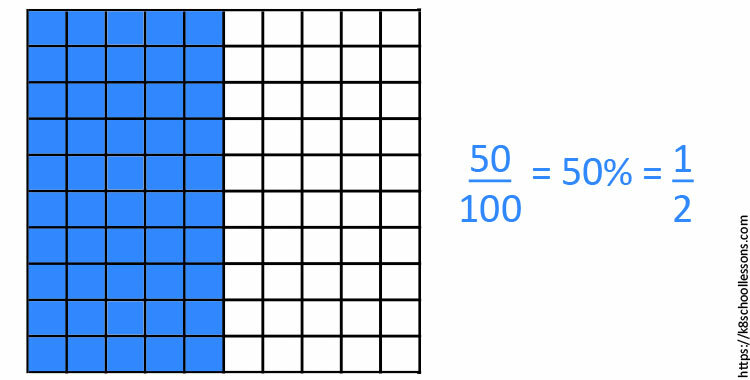 Out of 100 cubes 50 cubes are coloured. 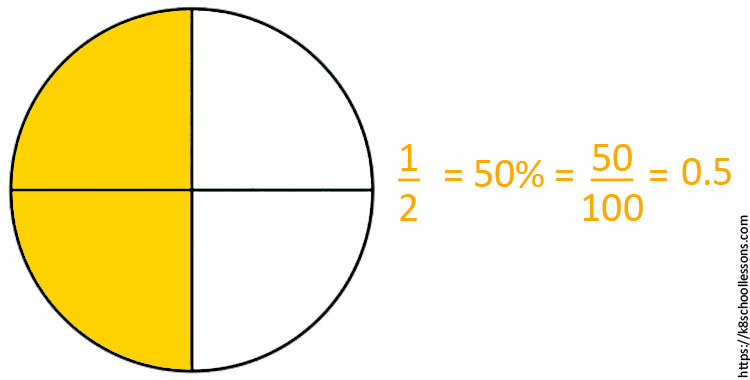 This is 50 / 100, which means 50% of the diagram is coloured or ½ of the diagram is coloured. Out of 100 cubes 75 cubes are coloured. 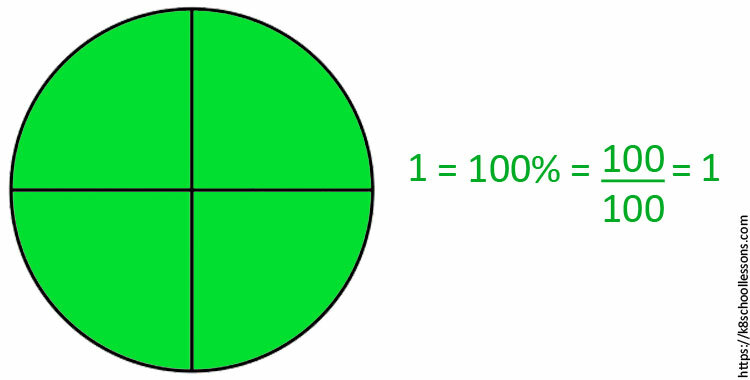 This is 75 / 100, which means 75% of the diagram is coloured or ¾ of the diagram is coloured. 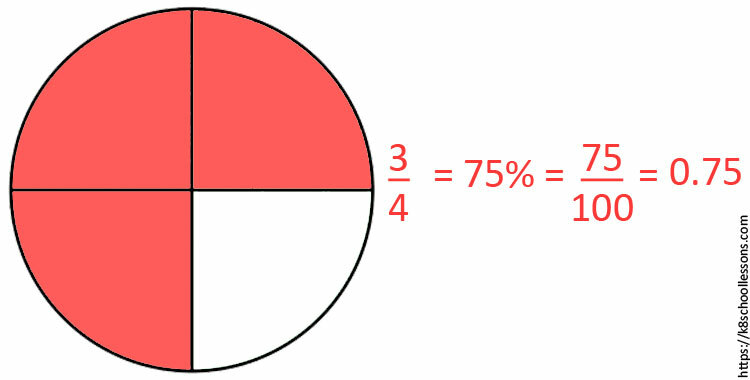 A percent can also be shown as a fraction or a decimal. (1) 35% of children in a school excursion are boys. What percentage are girls? (3) 15% of 300 eggs are broken. How many eggs are broken? (4) The old price of a surfboard was $450. The price was dropped by 20% in a sale. What is the new price of the surfboard? Step 1: Find the amount dropped. Step 2: Now find the new price. What is a percentage? 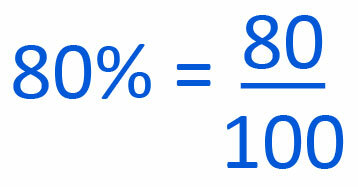 Now you can answer this question easily and know how to do calculations in percentages. To practise more calculations in percents click the link below. 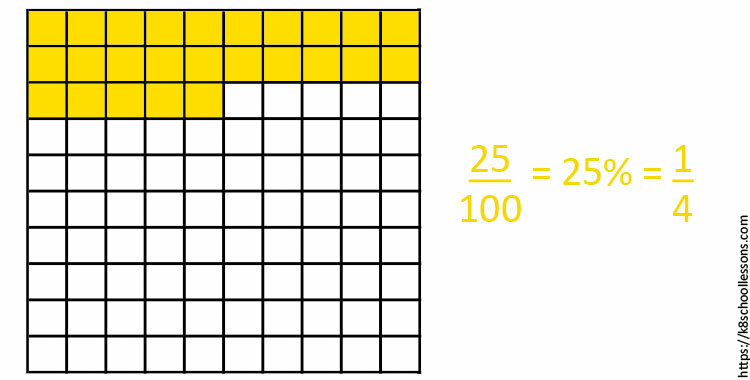 Try 20 free practice problems and download 20 free worksheets on percentages!